The Olympics: can job candidates learn from athletes? Home All Articles The Olympics: can job candidates learn from athletes? Ever wondered if sports skills are transferable to the world of job hunting? Kriss Akabusi and Owen Livesey tell Agency Central what candidates can learn from professional athletes. In a matter of days, the Olympics in Rio de Janeiro will commence, bringing with it a marathon of sport and tension, along with the promise of fulfilled hopes and dreams in a bumper three weeks of sporting theatre. You might be asking what the journey of Olympians and Olympic hopefuls has to do with the recruitment process? We explored whether there are skills that athletes rely on which could be utilised in your job search. Both of these athletes, with their different experiences in competing and in business, were able to offer interesting opinions and analysis to show how some of the skills needed by sportspeople are actually more transferable than you may think. With one silver and two bronze Olympic medals, golds in the European Championships and Commonwealth Games to go with a multiple medal haul in the World Championships, there is little doubt Akabusi knows what it takes to compete at the elite level of athletics. His personal best in the 400 metre hurdles was set in 1992 and is still a British record today. He now heads up the Akabusi Company, an organisation that communicates "high energy, inspirational messages from the conference platform," as well as putting on motivational workshops and awards presentations. 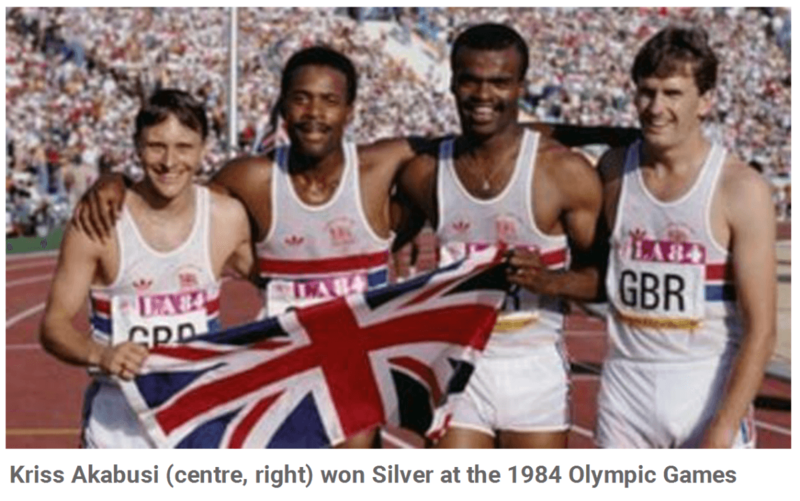 Having made his Olympics debut in 1984 - where winning a silver medal made this his most treasured Games memory - Akabusi has scaled the Olympic heights and now in a business environment, he can offer unique insights into the skills shared by athletes and job candidates. We also spoke to another elite level competitor who knows the sacrifices needed to climb to the top of the mountain. Owen Livesey has competed for Great Britain in judo and the 24-year-old's most celebrated moment came at the 2014 Commonwealth Games in Glasgow when he won a gold medal in the Men's 81kg category. He subsequently competed around the world in an attempt to qualify for this year's Olympics but agonisingly, Owen missed out on Olympic qualification by one spot, something he understandably described as "heartbreaking." You might be wondering - and are entitled to think - what this has to do with recruitment? Bear with us. The Olympics is the pinnacle for many athletes. They have to work hard to qualify to get there, meeting the standards to get past the initial process - much like a candidate applying for a job. Athletes have a selective memory, so they forget the bad and remember the good stuff. Every time you step into the arena, if you think about all the bad stuff, the things you did wrong, you're likely to repeat that. There is an element of this too when the Olympics start, with many events consisting of heats before the final test. To even qualify it takes hard work, dedication, and no small amount of luck. While nobody is suggesting a job is the same as the Olympics, the mechanics of getting there and striving to hit the heights when there do have some similarities. What are the transferable skills? Few would deny that there is a correlation of sorts between these elite athletes and a budding employee, but can any of the former's skills or mindset be successfully used to help the latter during the job process? You've got the coveted interview, time and date are confirmed. Can you relax? Absolutely not. As we have chronicled extensively, interviews can contain a variety of challenges for candidates. It's important to be prepared for these. It is the same for any athlete. All those mornings of running in the cold and rain, interval training, weight sessions, missed social events. It takes a serious amount of dedication. The preparation is relevant, not just for interviews but for the job search too. Candidates have to put themselves in the best possible position to achieve their goals. This is where there are similarities to those athletes who have strived for qualification standards or to be in the best shape for the start of the Games. Candidates, like athletes, can achieve their goals by making sure "little steps" are taken each day, so that progress continues to be made. Kriss Akabusi explained: "Success is gained each day by doing something towards your overall goal. The goal can be separated into what I would call microgoals - little steps along the way; weekly, monthly and annual." Here, we can see that putting a plan in place is important, as is that sense of achievement, no matter how big or small. A candidate might start by putting their CV in order. This is one achievement. Follow this by matching a covering letter with job competencies - another achievement. You want to be sure you're good in all areas and prepared to answer/demonstrate anything that is asked of you. If you get to that interview, doing small, sharp bursts of research on the company means you are making progress. When speaking to Kriss Akabusi, he made a very interesting point about putting the targets you have on paper. "If you don't write it down, it isn't going to happen, he said." This could easily be true of a candidate. Note down useful questions about the organisation you are being interviewed for, as well as any interesting nuggets of information. 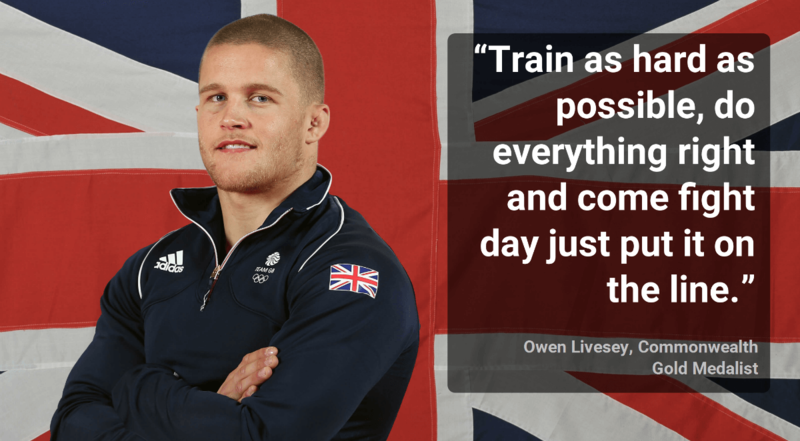 Owen Livesey, who has his own business - Livesey Personal Training - explained that his method of success in judo is "to train as hard as possible, do everything right and come fight day just put it on the line." In the context of a candidate hunting for a job, 'training' can easily be replaced by preparing, ready for the battlefield that is the interview room - not literally, of course. The point both of these athletes make though is a lesson worth taking on board - the hard work is done away from everybody. Fail to prepare, prepare to fail. Those embarking on Rio in August won't fall into this trap, and neither should you in your job hunt. If you step into an interview and remember a nightmare experience of times gone by, it will have a negative impact. However, if you recall a time you wowed the panel, your confidence will reflect that. Unless you're one of the fortunate ones, you've had to deal with the setbacks of not making the interview stage or have been rejected after making it that far. It's a proverbial kick in the teeth and it can be hard to take consolation, even if positive feedback was given. It's no different for athletes. Indeed, Commonwealth judo champion Owen Livesey described the "obviously heartbreaking" result of finishing just one place outside of Olympic qualification this year. His attitude is a heartening one considering such a setback. Owen believes in "putting everything on the line" after the hard work has been done away from competition. While the Olympics remains a dream, at 24, he has time on his side and is working hard to make his own business successful. This is an attitude that candidates can use to deal with setbacks. There will be other chances to find a job they crave. When it comes, it's important to be mentally ready to grab it. How can this be achieved? Silver and two-time bronze Olympic medallist Kriss Akabusi, explained an extremely useful technique. As an athlete, his method was to let go of all the negative performances or bad days at the office because it would help avoid repeat performances - something which is similar to the Buddhist technique of mindfulness which helps people to live in the moment, rather thank thinking about the past or the future. He said: "Athletes have a selective memory, so they forget the bad and remember the good stuff. Every time you step into the arena, if you think about all the bad stuff, the things you did wrong, you're likely to repeat that. "But if you remember your successes, the time you won and raised your personal best, you're more than likely to repeat that." The arenas are different but the lessons are essentially the same. If a candidate approaches a job search with trepidation rather than looking at the positives, it will decrease the chances of getting to the interview stage. Similarly, if you step into an interview and remember a nightmare experience of times gone by, it will have a negative impact. However, if you recall a time you wowed the panel, your confidence will reflect that. Athletes taking to the track, field or other disciplines in Rio this month will improve their chances of glory in Rio by using this selective memory technique - and it's something that will also help candidates. Buzzwords they may be, but ultimately, without either of the above, you'll struggle to achieve your goals in any walk of life. Employers or recruitment agencies - who are adept at finding the right candidates for roles - will see through a half-hearted job application. If a candidate nails an interview but isn't committed to finding out about the company, researching its business, and being ready for potential banana skin-style questions, it will only yield one result. By the same token, an athlete aspiring to be at the greatest show on Earth will have no chance if the occasional morning run is left out, or if training sessions aren't at full throttle. Commitment, according to Kriss Akabusi, is key, whether an Olympian or a candidate aspiring to secure a job. It is, he believes, the only way to succeed. "You've got to commit to the task before you get confirmation you can do the task. Some people like to have the confirmation first but it doesn't work like that. You have to dedicate yourself to it and the confirmation will come." Confirmation in this context can be a spot on an Olympic team, improved performance, while in the job seeking realm, it can mean you've made a positive impression in an interview. Owen Livesey spoke about the unexpected happening in judo. In particular, he stressed the "need to be able to stay calm under pressure." Different scenarios of course, but the interview has pressures of its own. There will be questions occasionally where the answer doesn't automatically spring to mind. It is important to stay calm - something that is much easier if you've put the commitment in beforehand - because you'll know you've done the research. Like judo, Owen explained, in the interview, "you want to be sure you're good in all areas and prepared to answer/demonstrate anything that is asked of you." Commitment to the prospective job, like an athlete's commitment to Olympic goals, will exponentially increase the chances of success. You've got to commit to the task before you get confirmation you can do the task. For the next three weeks, we can all enjoy an abundance of sporting agony, ecstasy and moments that will live long in the memory. Perhaps after reading this, you may look at those athletes differently. Will there be envy? In my case, yes. Who wouldn't want to be there? But it's worth remembering the sacrifices they make to get to that point in their careers and then asking yourself, can I learn anything? According to high class performers like Kriss Akabusi and Owen Livesey, the answer is yes. Taking on board some of the processes these athletes go through could lead to the job that is the equivalent to their qualifying standard or Olympic medal.